Canada is on its way to including genetic discrimination provisions in its human rights legislation. I recently wrote about Canada being on its way to including provisions in human rights legislation to prevent discrimination based on a person’s genetic characteristics. Since March 2017, some interesting developments have occurred. Firstly, the federally regulated jurisdiction has become the first Canadian jurisdiction to enact provisions prohibiting discrimination on the grounds of genetic characteristics. Despite the fact that Bill S-201 did not receive Royal Assent as expected on March 8, 2017, and there was some controversy as to its constitutionality, Bill S-201 ultimately received Royal Assent in the Senate on May 4, 2017. In fact, the provisions amending the Canada Labour Code and the Canada Human Rights Act are now in force. This means that, as mentioned in my previous post, employers are prohibited from requiring an individual to undergo a genetic test or disclose the results of a genetic test as a condition of providing goods or services to, entering into or continuing a contract or agreement with, or offering specific conditions in a contract or agreement with, the individual. However, exceptions are provided for health care practitioners and researchers. A “genetic test” means “a test that analyzes DNA, RNA or chromosomes for purposes such as the prediction of disease or vertical transmission risks, or monitoring, diagnosis or prognosis”. Also, “disclose” would include authorizing disclosure. A “health care practitioner” means “a person lawfully entitled under the law of a province to provide health services in the place in which the services are provided by that person”. With respect to employment, the new provisions make it clear that employees are entitled not to undergo or be required to undergo a genetic test. Moreover, employees are entitled not to disclose or be required to disclose the results of a genetic test. Employers must note that they are not allowed to dismiss, suspend, lay off or demote an employee, impose a financial or other penalty on an employee, or refuse to pay an employee, take any disciplinary action against or threaten to take any such action against an employee just because that employee refused a request by the employer to undergo a genetic test, refused to disclose the results of a genetic test, or because the employer based any of these disciplinary decisions on the results of a genetic test undergone by the employee. Furthermore, third parties are not allowed to disclose to an employer that an employee has taken a genetic test, or the results of that genetic test, without the written consent of the employee. Employers are not allowed to collect or use the results of a genetic test without the written consent of the employee. 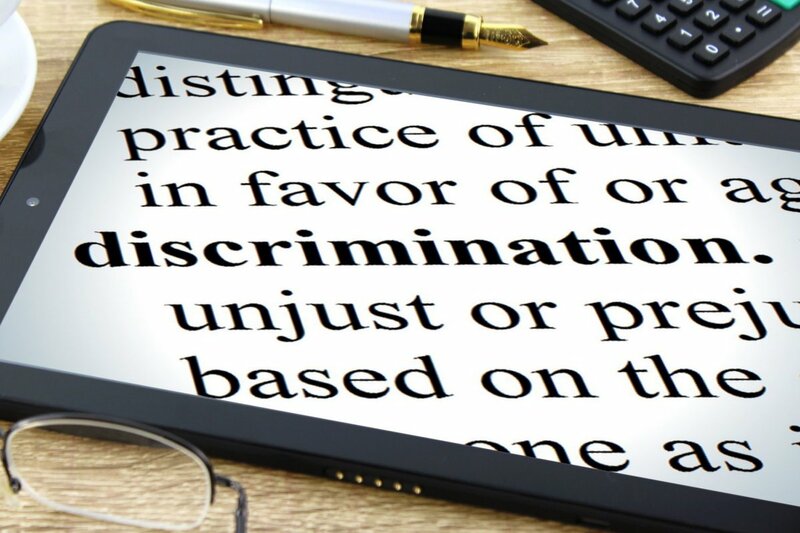 Practically speaking, employers are recommended to ensure that they create suitable anti-discrimination and anti-harassment policies that include this prohibited ground, train employees regarding discrimination on this prohibited ground, and consistently enforce the policies. Secondly, I mentioned in the same post that Ontario Bill 30, the Human Rights Code Amendment Act (Genetic Characteristics), 2016, was introduced into the Ontario legislature and received first reading on September 29, 2016. On November 3, 2016, Bill 30 received second reading and was sent to the Standing Committee on Justice Policy, but nothing has changed since. If passed, the provisions would amend the Ontario Human Rights Code to include genetic characteristics as a prohibited ground of discrimination and harassment. Of concern to employers, every person has a right to equal treatment without discrimination because of genetic characteristics with respect to employment and membership in various types of organizations. This would apply in cases where people refuse to undergo or disclose the results of genetic test, or authorize the disclosure of the results of a genetic test. Under Bill 30, “genetic characteristics” is defined as “genetic traits of an individual, including traits that may cause or increase the risk to develop a disorder or disease”. Although nothing has taken place regarding Ontario Bill 30, it is important to note that Private Member’s Bill 164, Human Rights Code Amended Act, 2017, was introduced into the Ontario legislature on October 4, 2017. Currently, the last known status is that it received second reading and was ordered to the Standing Committee on Regulations and Private capital on October 26, 2017. Essentially, Bill 164 amends the Ontario Human Right Code to include genetic characteristics (along with immigration status, police records, and social condition) as prohibited grounds of discrimination. Pertaining to employment and genetic characteristics, Bill 164 contains a provision stating that the right to equal treatment without discrimination because of genetic characteristics includes the right to equal treatment without discrimination because a person refuses to undergo a genetic test or refuses to disclose, or authorize the disclosure of, the results of a genetic test. This means that employers would not be allowed to demand that an employee undergo a genetic test or that an employee disclose the results of a genetic test. If passed, Bill 164 would come into force on Royal Assent. Consequently, there are two active Bills in the Ontario Legislature regarding the prevention of discrimination based on the ground of genetic characteristics. This should be a signal to employers that change is coming in the near future – employers are recommended to prepare by reviewing their current anti-discrimination and anti-harassment policies to ensure that every person in the workplace indeed experiences equal treatment without discrimination based on genetic characteristics.